that requires only few minutes for a big improvement. These logo polo shirts that get piled up and never been used? The quality is often very good and I can't stand a good quality garment locked up at the bottom of the closet or used only for a "I-don't-care-if-I mess-it-up" reasons. 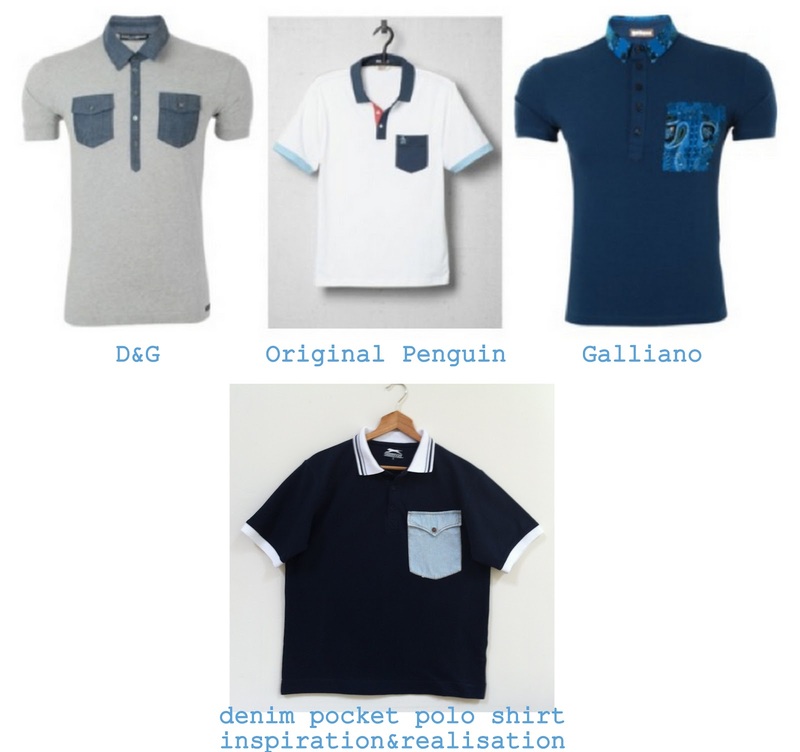 Taking the inspiration from designers' as Dolce & Gabbana and Galliano polo shirts with contrast pockets, I'm going to use one of the denim pockets I removed from my D&G inspired refashion and hide the logo. I had the pocket already, but it's an easy enough task to do with a small piece of fabric in contrast color. that will look neat also on the wrong side of the garment. 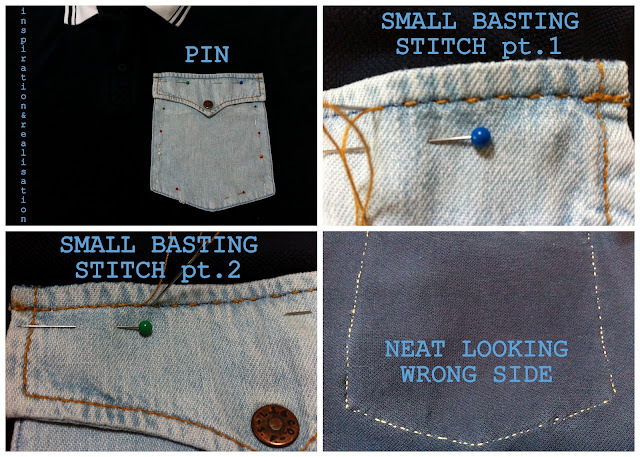 * I'm using the denim thick thread and will do a SMALL BASTING STITCH. * Once you get to the end of the seam, repeat the SMALL BASTING STITCH by filling the blank spots. * the wrong side of the shirt will look neat, sure better than a running stitch. I have two polos of marketing so cute, but the problem is the name of the brand!